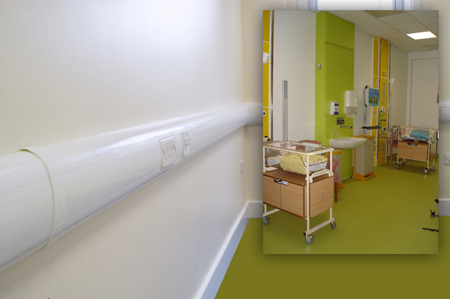 Marshall-Tufflex’s Odyssey Bio cable management system, with built-in antimicrobial properties, is helping to prevent infection within the refurbished neonatal unit at Birmingham Women’s Hospital, which treats more than 800 premature and ill babies every year. Prompted by the need for modernisation and an increasing demand for specialist baby care, the £7m combined refurbishment and new-build project has culminated in a new neonatal centre that has increased the hospital’s capacity to 50 neonatal cots, 20 of which are for intensive care. 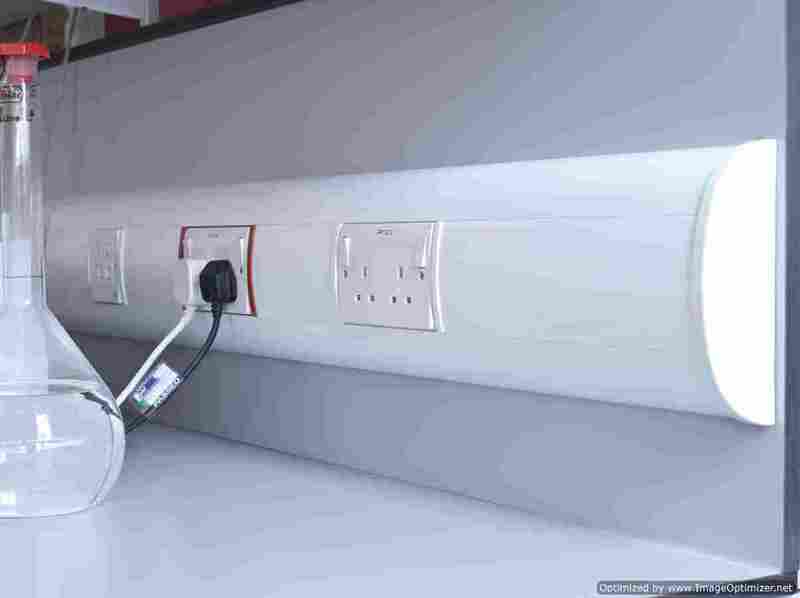 Odyssey Bio is a fully curved profile CAT 6 compliant trunking system from cable management expert Marshall-Tufflex. Silver-ion protection is added to Bio’s PVC-U formulation during manufacture, meaning that the bug-busting solution is incorporated within the trunking material. 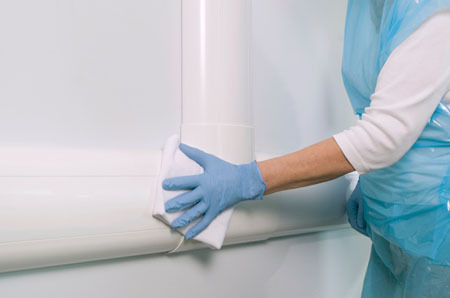 As a result, Odyssey Bio continues to neutralise and kill dangerous bacteria such as MRSA, E Coli and Salmonella even if the trunking is scratched or knocked. Its antimicrobial properties are perceived as a huge benefit to the hospital, which is committed to ensuring that its staff, patients and visitors are protected from healthcare associated infection. It also has a dedicated and proactive infection control team. “This type of antimicrobial containment unit is a bonus to us,” said Warren Hubbard, head of estates, Birmingham Women’s Hospital. 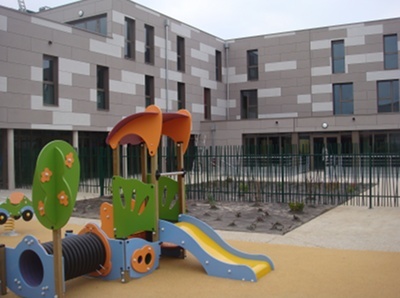 Odyssey Bio was specified by building services consultant for the project, Couch Perry & Wilkes, to carry power, voice and data systems within the baby clinic, treatment rooms and administrative areas of the outpatients department. 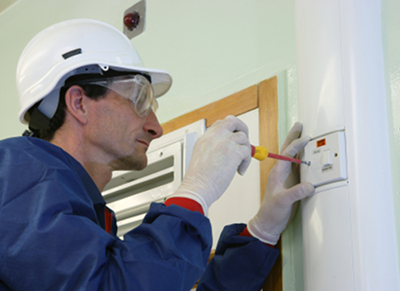 Odyssey Bio has been tested to the quantitative standard ISO 22196:2007. 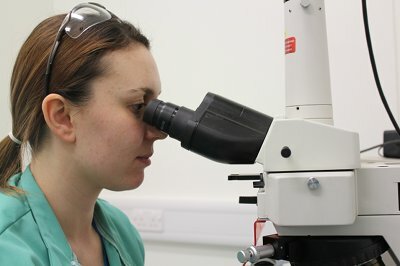 Results show the survival rate of tested bacteria to be less than 0.1%. Odyssey Bio is registered with the Environmental Protection Agency (EPA) and compliant with the European Biocidal Products Directive (BPD).